This guide bypasses the headlight relay, lighting your headlight when you turn the key, instead of when the engine turns. Don't ask me about the pros/cons of this; I'm sure it will be discussed. 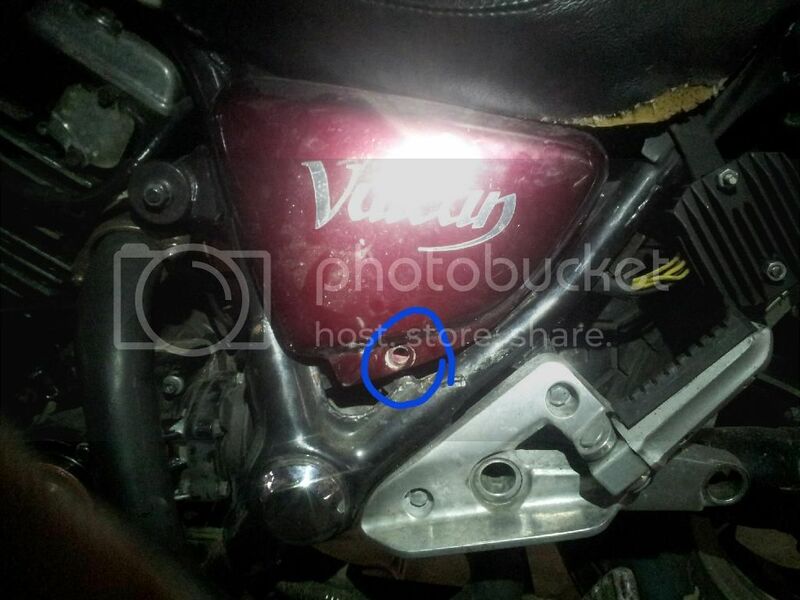 On the left side of the bike remove the side cover. Unscrew the bottom screw and pull the side cover off. If you are sitting on the side of the bike, facing the side cover, pull directly toward you. 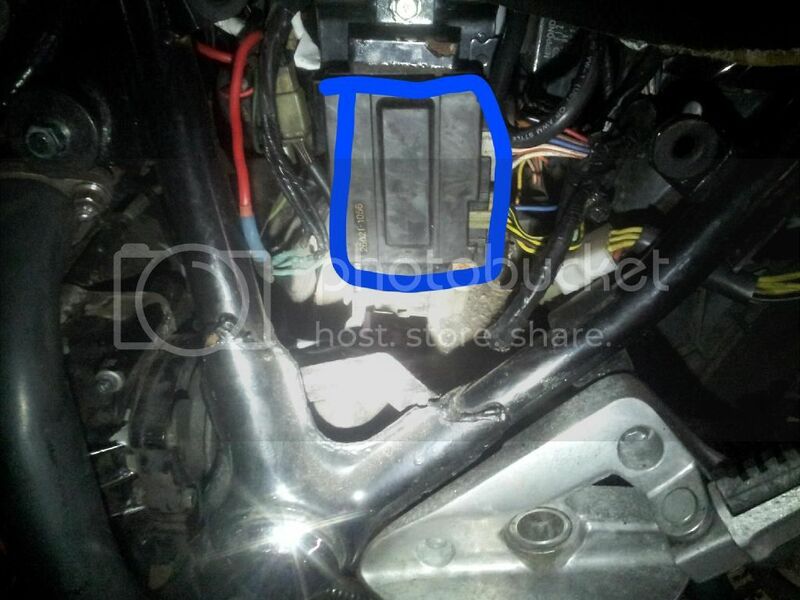 You will see a Palm sized black box with two connectors coming out the right side of the box. One is a smaller ten pin, one is an 8 pin. Don't make the mistake I made - don't touch the ten pin connector. I pulled the blue wire from the 10 pin and moved it to the 8 pin. This is WRONG. Pull out the 8 pin connector. There is a blue wire. Pull the blue wire out of its spot (or push it from the front of the connector to reduce stress on the wires) and move it to the empty spot on the same connector. If the spade connector pushes out as you push the connector in, just connect the plug, then push the spade connector into the empty spot to secure it. Last edited by crowley1027; 03-23-2014 at 07:06 PM. Thanks, much appreciated! A reasonably easy mod to do, but having pictures to look at definitely works better for me to understand what is to be done. When I was younger I was afraid I'd die riding. Now that I'm old and falling apart, I'm afraid I won't. Well done - a great detailed write up ...with pics ! My headlight's bright light didn't work so I bought a new bulb. This didn't fix the problem. 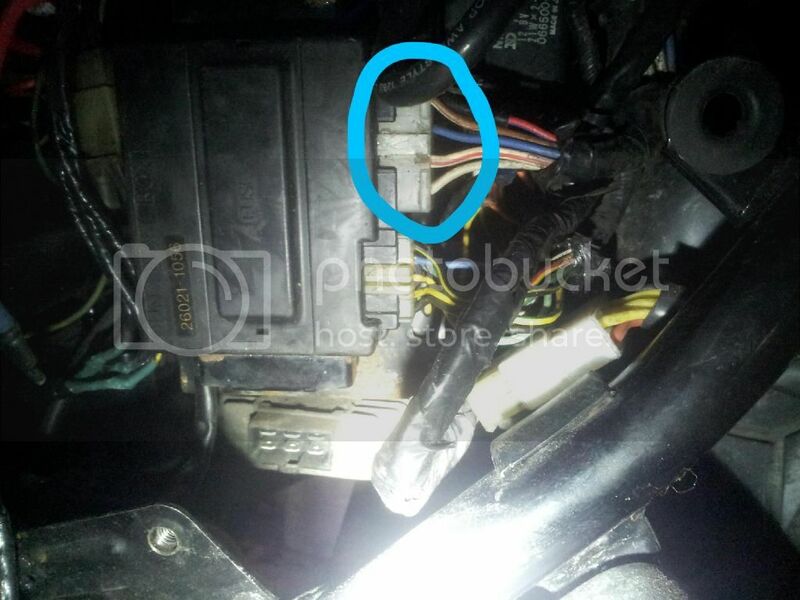 I figured I had nothing to lose by switching this blue wire to bypass the headlight relay. This fixed it. Bright light now works. 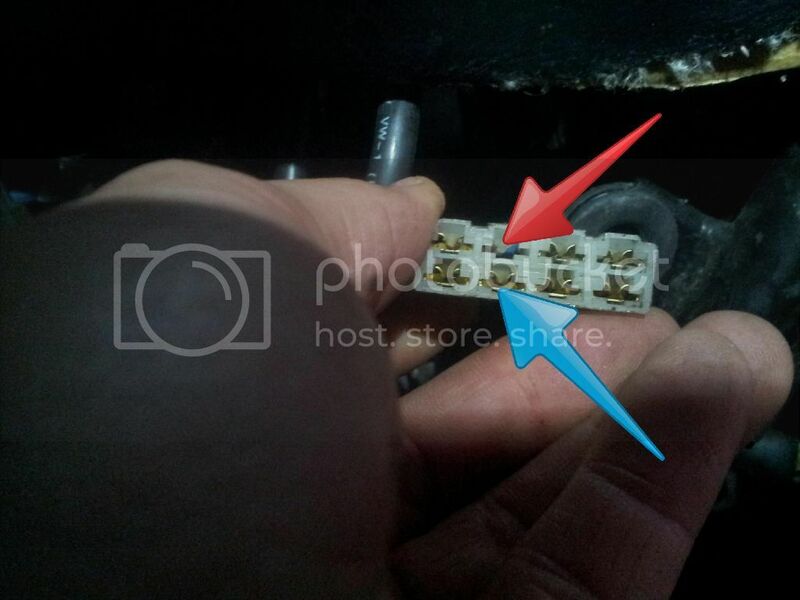 Actually if you see the schematic on page 15-50 for the junction box 8P connector, all you are doing here is removing the output from pin 8 and moving to pin 7. 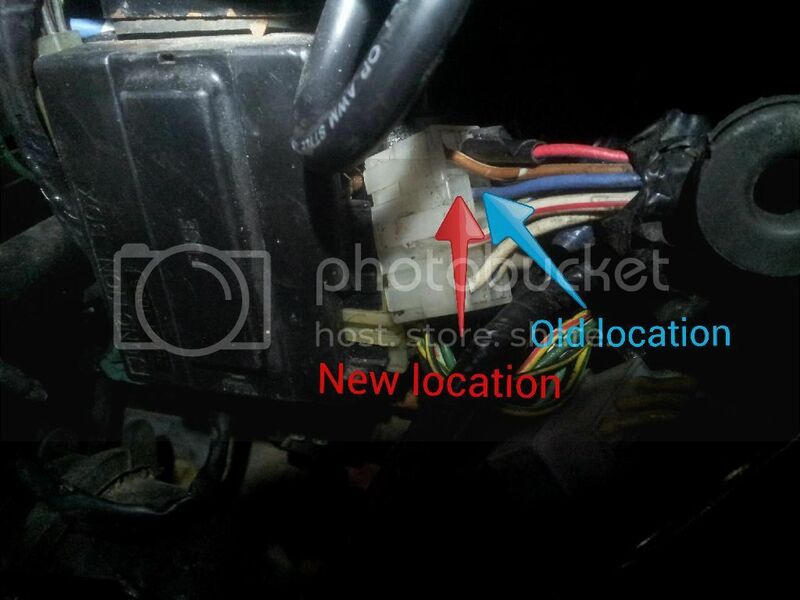 All that does is to take the headlight relay out of the circuit, the 10A headlight fuse (24 on the diagram) is still in the path. And you can verify that it is, by pulling the fuse after doing the repair, and seeing that the headlight will stop working. This is a great mod, and can't beat the price !